What are some of the reasons people don’t consider assisted living more seriously? Often, as with any type of elder care option, it has to do with either misinformation or misconceptions. There are several misconceptions surrounding assisted living. These misconceptions can keep elderly individuals from choosing this great environment. Below are several common misconceptions to bring to light. Common Misconception #1: It’s just like nursing home care. This is probably one of the most common misconceptions about assisted living. 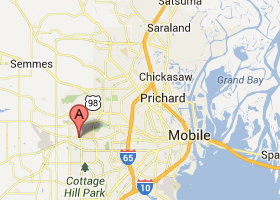 A high quality assisted living community is nothing like nursing home care. Yes, there will be seniors who require some level of assistance and support, but anyone who can live relatively independently, maybe with a minimal amount of physical assistance, may be eligible for assisted living. Common Misconception #2: It’s too expensive. Most people assume assisted living is simply too expensive to even consider. Depending on where the person lives in the country, the cost of assisted living can vary dramatically. For example, in some portions of the South, the cost of assisted living can actually be less than home care aides in New England, for example. Common Misconception #3: It’s for end-of-life care. Unfortunately, far too many people think assisted living is only for those men and women who have reached the final years of their life. When these individuals can no longer take care of themselves as well as they used to, they might be advised to consider other living arrangements, including assisted living. 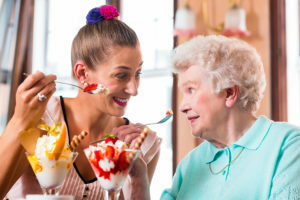 Because there are so many activities and great support at many of these assisted living communities, it can be a great option to not just pursue certain things the senior has never tried before, but also reach out and connect with new men and women, making friends they never thought could be possible again. Common Misconception #4: Activities are boring. Some people assume all the activities that take place at assisted living communities are basic arts and crafts. There could be a wide range of activities specifically designed for a variety of the residents. The only way to truly determine whether assisted living is right for you or somebody in your family is to make an appointment, go on a tour, and ask questions of the administrators at these facilities. Modern assisted living facilities can be a valuable asset for people who may need a little bit of support, who may be completely healthy but living alone, or for those who realize keeping up with their home’s general maintenance and cleanliness is just too much for them now.